With an enormous amount of research and a good deal of planning, you can travel in Europe on the cheap. You will be surprised how much of the continent you can see without destroying your budget. To keep your costs down, you need an itinerary. Note how many nights you will stay in one country. Book your travel arrangements and accommodations in advance. Once you have put your itinerary in place, stick to it to keep costs down. Cheap travel in Europe means booking early and booking online. A standard rail pass and airfare are fixed costs, but if you book early you can find other types of transportation much cheaper. This alternative travel includes bus transports and trains between cities. Buy ahead instead of spontaneously and on the day of your journey. Travel around Europe cheap by eating like a local and backpacking. You can purchase sandwich fixings and picnic across Europe. Picnics could be awesome! Do avoid the restaurants near tourist attractions. Look for those that are frequented by the locals. Restaurants frequented by locals will also be lower in price than those restaurants who serve tourists. Travel tips include using cash whenever possible. When you withdraw money from an ATM, you will pay fees for currency exchange and fees for withdrawal, but these fees are less than what your credit card company will charge you. Keep your cash in a safe place like a money belt. Really, this is an awesome travel advice, use cash as much as possible. Europe trips can be found websites that are dedicated to helping travelers find free or inexpensive accommodations. Many sites are based on social media platforms where you make friends and get ideas. Check out where you can make friends and stay with these friends. To pay back those who are helpful, host them when they come to your continent. If you join a travel surfing website, you might find accommodations that are just couches or air mattresses or private rooms. Your host will specify how long you can stay. This is a fun resource to explore. Another travel tip is to stay in local bed and breakfasts. For the price of a night, you will get a breakfast that will save you the cost of another meal. 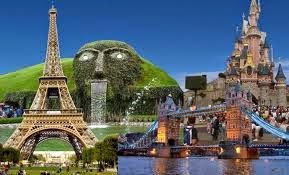 Check online, click on the European country you are traveling through, and you will find thousands of options. Some of these options are in awesome large cities, but most are in rural areas. Tryout Agriturismo Le Selvole a gorgeous bed and breakfast in Tuscany. Want to tour Greece? Bed and breakfasts range from €12 to €20. Try house sitting in Europe for a cheap vacation. Could be an awesome way to get to know the feel of a European country. You can also stay in hostels that offer you a bed costing about $20 a night. Large dormitory rooms could be less than that, and you will make tons of new friends. Often hostel guests are backpackers and have great ideas on how to get around Europe with very little money. Bersama Kami Agen Bandar Taruhan Online Terlengkap & Terpercaya ! Hi there. I discovered your website via Google even as looking for a related topic, your website came up. It appears great. I have bookmarked it in my google bookmarks to visit then. Travel Tips - Use These On Your Next Trip!